I've been curious enough about the Coravin to interview its inventor, Greg Lambrecht, but wanted to get perspective on its use in restaurants. 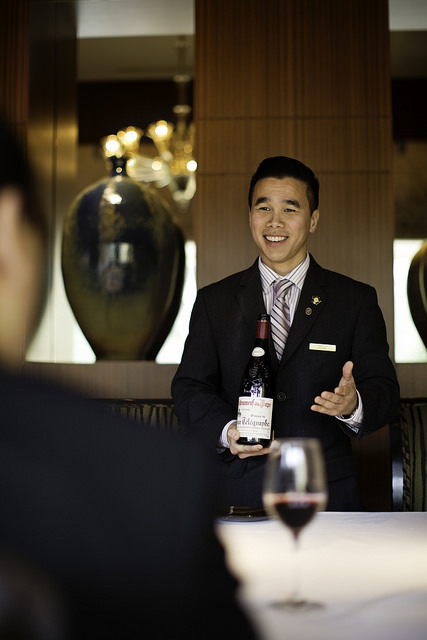 Contacting Sommelier Hai Tran of North Carolina's Herons Restaurant, located in the Umstead Hotel and Spa, who offers a selection of older vintages of signature wines via Coravin, proved serendipitous. In my interview with Tran, he relates the rigorous Coravin trials conducted involving numerous bottles of Bordeaux, offers a wine to match lamb with mesquite jus and barbecued artichokes, and recommends where to eat and drink in and around Raleigh, Durham, and Chapel Hill. When you first heard of the Coravin were you skeptical? What made you a believer? And do you recall the first bottle of wine you tried it on? With the abundance of wine preservation tools/systems out there, I was justifiably skeptical about whether the Coravin actually worked as well as they claimed. I had been following the progress of the tool during its testing period at Del Posto and threads on GuildSomm about its use in the restaurant. When the day came that it would be released to the public, I made sure to secure one for personal experimentation due to the relative affordability of the tool. Despite the positive feedback from my peers who had helped with the trial runs of the Coravin, I could only truly believe in the effectiveness of this tool by running my own trials. I purchased a 6 pk of Saint Gliglin "Carte Verte" Bordeaux to test a few extractions, as well as a bottle of 1999 Chateau Talbot to test on an aged bottle of wine. With bottle number one, I would access the wine once a month. With bottle number two, I would access the wine once every other week. With bottle number three, I would access the wine once a week. With bottle number four, I would access the wine every day at a lower volume (I was aiming for 1 oz), with the goal to see how many times I could access the bottle without noticing a major change in quality of the wine being poured. What I found eventually convinced me that the Coravin was a viable option for our BTG program, with a caveat. I noticed that after 12+ extractions on bottle four, signs of oxidation of the wine started to show and that it wasn't as fresh as the other samples, nor as fresh as the control bottles. With that in mind, I wanted to minimize the amount of extractions from the bottle and still give our guests the opportunity to try the wines with a significant pour, hence the decision to go with 3 oz and 6 oz options. Therefore, I limit the maximum number of extractions to eight. With the 1999 Talbot, I tested it over a period of three months, extracting a taste every week to see how an older bottle of wine would hold up under such conditions. On the third month, I opened a fresh bottle as a point of comparison, and the wine from the Coravin bottle was just as good. This sealed the deal for me and I proposed the Coravin to our leadership team. They were excited about the possibilities, and we became one of the first establishments in our area to work with the Coravin. How has the Coravin changed your by the glass (BTG) program? It has allowed us to expand our wine program to items we never thought would be possible to offer BTG. It truly is a game changer in that respect. The boundaries (due to spoilage or pricing) became no longer a concern. The Coravin system allows us to focus on quintessential wines that are special and very exciting for our guests. How do customers react to the Coravin? Do they have questions about it? Want to see it in action at the table? Our guests have been quite inquisitive of the tool since its introduction to our BTG program. In our lists, we provide a basic overview of how the Coravin works and I often bring it to guests that are curious for a demonstration. With quite a few biotech companies in the area, the idea of a bio-grade needle being used to extract wine is quite fascinating to them. We do a tableside presentation of the Coravin, which attracts the attention of nearby tables and dining patrons and often leads to additional sales. 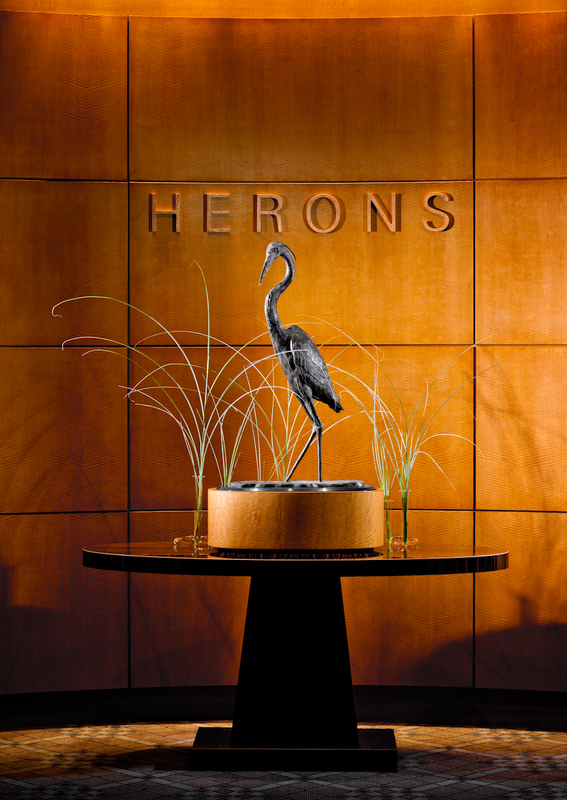 What is one of your favorite food and wine pairings at Herons right now, using one of the selections you have BTG from the Coravin? We are currently offering the Borgogno Barolo Riserva 2003 through the Coravin and I enjoy serving that with our Border Springs Lamb preparation. Nebbiolo is known for great acidity, and this Barolo’s deep earthy tones and well-integrated tannins (thanks to its age and the notoriously warm 2003 vintage) are a great complement to the lamb. The earthy spice and smokiness of the Borgogno highlights and carries through the flavors of the mesquite jus and the barbecued artichokes. It’s a pairing that I wouldn’t normally offer, but thanks to the Coravin, I am able to do so! When you’re not at Herons, where are the places to eat and drink around Raleigh/Durham we might find you at? Eats: Being a Vietnamese-American, you will certainly find me at various hole-in-the wall Asian restaurants, spanning from Vietnamese, Chinese, Japanese, and Korean. Some of my favorites include Taste (Vietnamese) and C&T Wok (Szechuan) in Morrisville; Sawasadee (Thai) and Bida Manda (Laotian and not really a hole in the wall) in Raleigh; Vit Gol (Korean) in Durham; and Yuri (Sushi) in Cary. When I have foodie friends in town and want to showcase some of the best that the Triangle has to offer, I will typically take them to Mateo to enjoy Matthew Kelly’s take on tapas in Durham or [one] Restaurant in Chapel Hill to enjoy Kim Floresca and Daniel Ryan’s whimsical creations. If you don't find me at these places, then I'm most likely at home cooking and enjoying a bottle of sparkling wine or Riesling. Drinks: I'm a Bourbon fan, so it's no surprise that you would most likely find me enjoying one at the best whisk(e)y selections to be found in the area at either Whiskey (Durham), Foundation (Raleigh), or the Crunkleton (Chapel Hill). I would be amiss if I did not mention the great local beer scene from Fullsteam in Durham to Big Boss and Lonerider in Raleigh (just to name a few).